Al Lowe's idea was originally to come full circle after 3 Larry games. 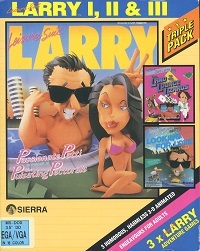 Hence the ending of Leisure Suite Larry 3, where he lives together with Patty and becomes a programmer (at Sierra On-Line). The fans however wanted more Larry games. 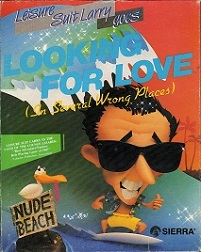 Al Lowe, being stuck with his LSL3 ending, then came up with the idea to continue with Leisure Suit Larry 5, intentionally skipping a 4th game in the series as a joke to let the fans make up their own minds of what happened between the part 3 and part 5. 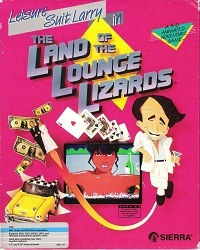 Either way, this Triple Pack was released as a Leisure Suit Larry collection after Larry 3 was published.